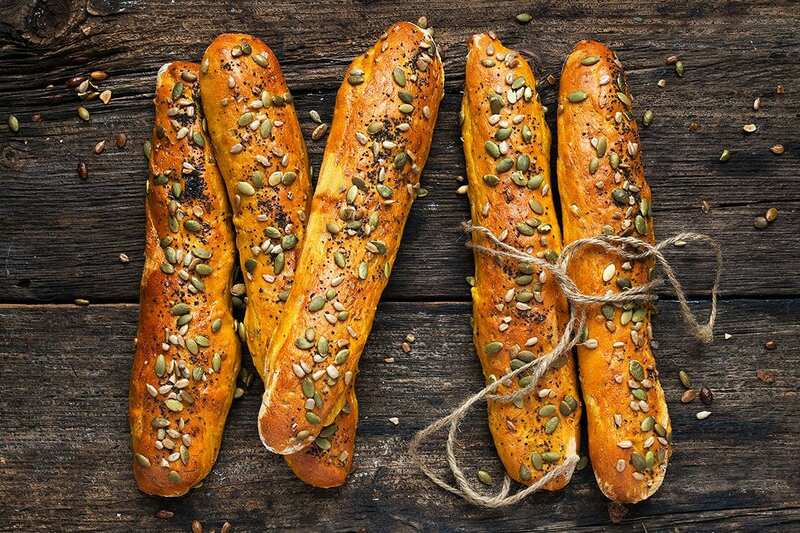 These Seeded Pumpkin Bread Sticks are like mini baguettes. Their pretty colour and delicious taste make them the perfect bread for your Thanksgiving table! While I am a fan of dinner rolls, I also love to bake up a seasonal and pretty bread to grace my Thanksgiving table. 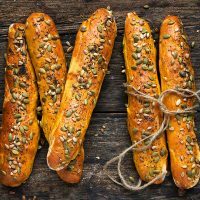 These Seeded Pumpkin Bread Sticks fit the bill perfectly! While I am calling these bread sticks, they are actually mini baguette loaves, so each one will server several people. With the recipe making 6 sticks, you can definitely feed a crowd with these. Looking for a festive and pretty bread for your Thanksgiving table? 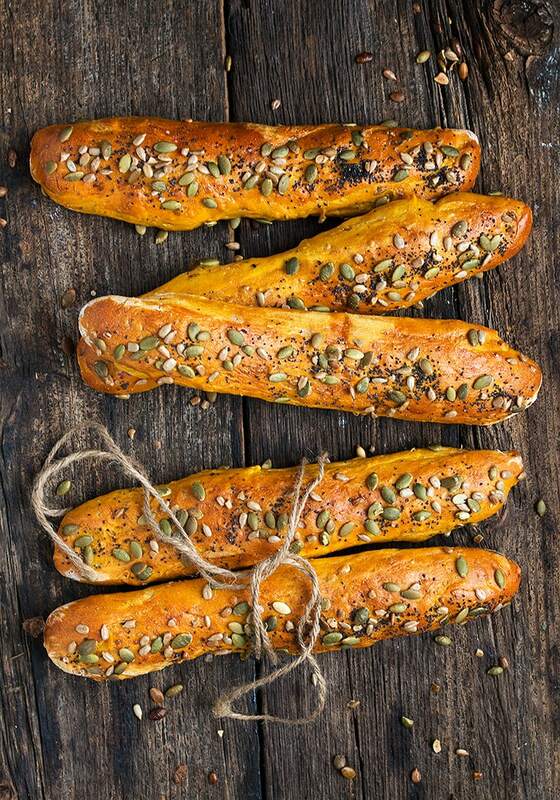 These Seeded Pumpkin Bread Sticks are mini baguettes and each one will serve 3 or 4 people. They’d look great on your holiday table, piled up in a big wooden bowl or standing in a bucket. Or just wrap them in twine and use them to decorate your table! The colour of the dough from the pumpkin is fabulous and together with the seeds (both in the dough and on top! 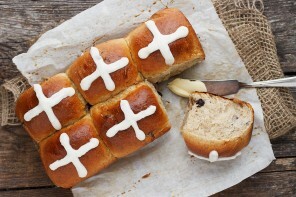 ), these loaves are sure to impress your guests, while being super easy to make. Be sure to add your flour gradually, as needed, to keep a moist dough. As the pumpkin adds a lot of moisture and will vary in moisture from brand to brand, just keep adding as much flour as you need until your dough is no longer sticky. Your rising time will vary, depending on the warmth of your kitchen. 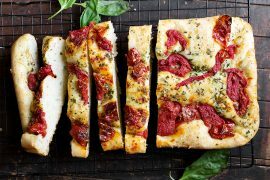 If you’re not making these bread sticks for a larger gathering, freeze them individually, then you can pull one out whenever you like. One bread stick is the perfect size for a single family meal, as it will serve 3 or 4 nicely. I have used instant yeast here, my yeast of choice, which is fine to add right into the other ingredients. If you prefer to use active dry yeast, you may want to proof it in the 1/2 cup of lukewarm water for 5-10 minutes, then add into the bowl. These festive seeded bread sticks are like mini baguettes and would make a great addition to any holiday table! In a large bowl or the bowl of a stand mixer fitted with the paddle attachment, combine the pumpkin puree, yeast, honey, water, vegetable oil and 1 cup of the flour. Mix until combined. Stir in the seeds and salt, then switch to the kneading hook. 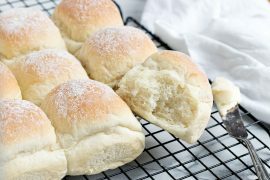 Gradually add 2 cups more flour, kneading to incorporated and adding more as needed until you have a smooth and moist dough, that is not sticky or too dry. Remove dough to a greased bowl, cover with plastic wrap and allow to rise until doubled, about 60-90 minutes. Remove dough to a floured surface and gently deflate. Divide dough into 6 equal portions and form into a log 1 1/2 inches wide and 12 inches long. 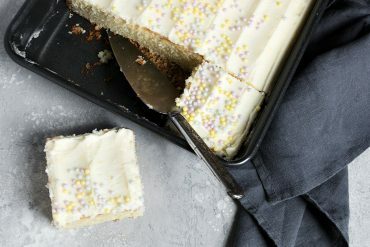 Place onto a large, lightly greased baking sheet. Repeat with remaining dough pieces, placing sticks a couple of inches apart on the sheet. Cover with a clean tea towel and allow to rise until doubled, about 30-45 minutes. I always use this SAF Instant Yeast for all my yeast baking. I buy it in this large package, empty it into an airtight freezer container and keep it in my freezer. To bake, I just spoon out right from the freezer. It keeps for months in the freezer! I only have dried active yeast. I would like to ask if I will still use 2 tsp dried active yeast to 1/2 cup of warm water? Lastly do I have to add sugar to the warm water? Thank you. 2 1/4 tsp should work just fine. Enjoy! Thanks Jennifer! I made this bread sticks today. I reduced the warm water to 1/4 cup and used the other 1/4 cup to prove the yeast. I baked it at 200C, then I noticed that within 15 minutes the bread are turning really brown. So I decided to turn it off and leave the bread inside the oven for another 5 minutes. Turned out really nice and fluffy! 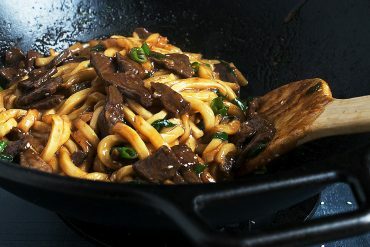 This recipe is highly recommended! I will make this again and again and again!!! Thanks again Jennifer! So glad they turned out so well for you, Anne :) Thanks so much! 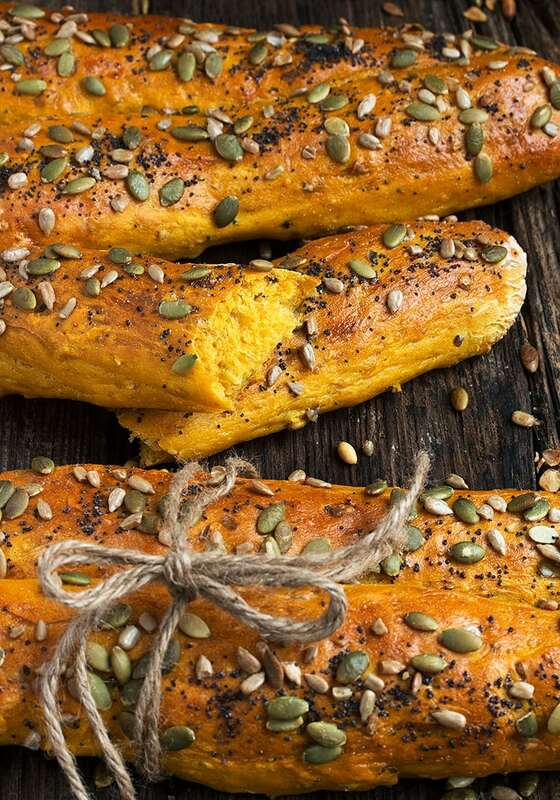 Do you have measurements for the seeded pumpkin breadsticks in grams or ounces? Hi Lisa, I’ll go in and have the recipe card calculate the metric. Sometimes it comes out wonky, which is why I don’t use it at the moment, so check carefully anything that looks out of whack :) Enjoy! Seeded bread is my favorite, any time I see it in a restaurant that is what I get. 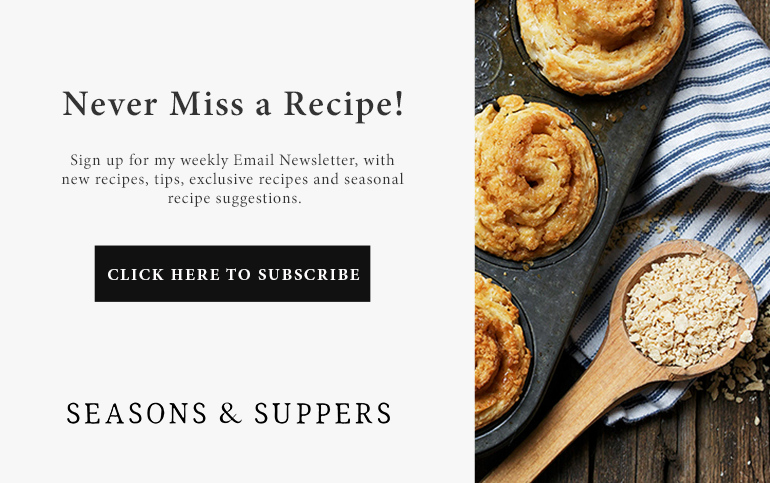 Your recipe sounds perfect for Thanksgiving. I’m pinning it. This is the prettiest bread I have ever seen! And I’ve seen a lot of pretty bread! Pinned! 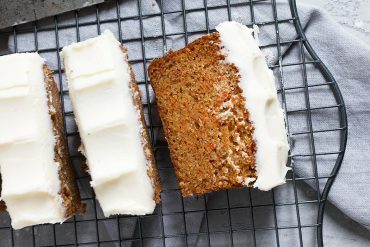 These look so delicious and perfect for fall! I will definitely make these adorable bread sticks this holiday season. Probably several times. Love that you use instant yeast and all the presentation ideas. They are really pretty. If these breadsticks don’t scream fall, I don’t know what does! These are just gorgeous, Jennifer! And so so so unique! 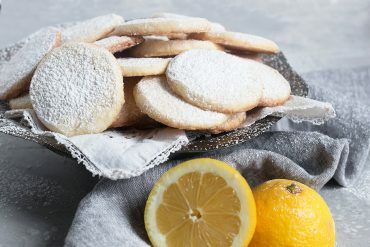 These are perfect for entertaining this holiday season! Pinned! Cheers! Thanks Tricia and yes, pumpkin bread is always so nice this time of year. Such great colour! 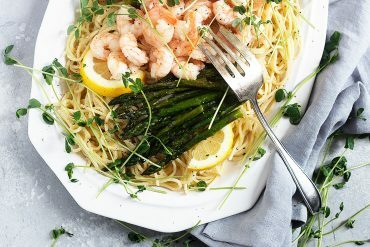 Such a creative recipe Jennifer! Love the seed topping too! What a great idea for the holidays. With that bright, rich colour and the pumpkin flavour, this would be such a lovely addition to our Thanksgiving menu! I could definitely fill up on a few of these smeared with butter :) Hope you have a great weekend, Jennifer! Thanks Dawn and hoping you have a great weekend, as well!